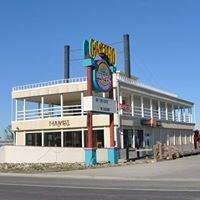 The FARWEST Casino and Restaurant was a popular spot until and electrical fire in the casino area several years ago. As in many cases it took this long for the insurance to finalize its work and the current owners are offering this property along with the LIQUOR LICENSE so a new owner can make this property a success again. The building will require remodeling but what a spot it could be again.This building had a casino and restaurant on the main floor which is approximately 3200 square feet plus a large outdoor patio as well. 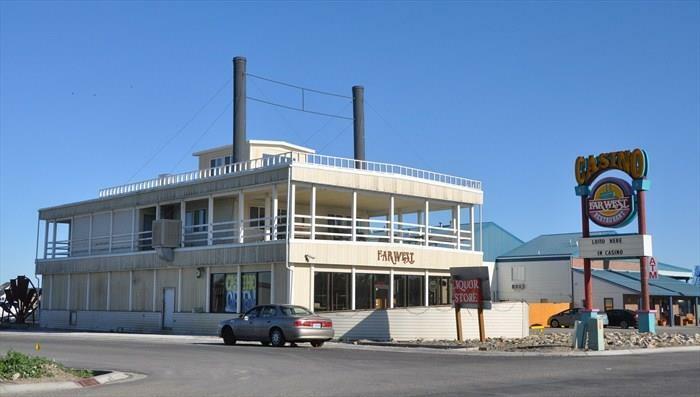 The second floor which is also approximately 3200 square feet (including patio area) is office and living quarters.The FARWEST Casino is located at the main exit from I-90 and close to the major motels. It historically captured not only local business but also the travelers looking for a good meal and a place to relax.